Sutton's Auto Body Inc. Yuma, AZ > Auto body repair yuma tips > Uncategorized > What to do if you need auto body or RV repair. 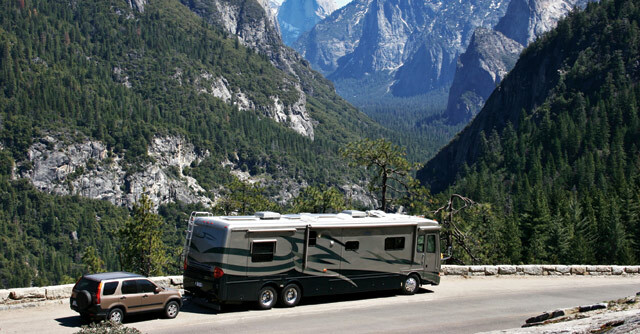 Call a trusted RV repair or Auto Body Shop. If you were recently involved in some type of accident or have neglected your care a little it may be in need of some attention. This can happen to even the best of Rv and car lovers. You may need to get auto body repair. But what are the steps you should take in the event that you need auto body repair. A lot of times auto body repairs are avoided due to simply not knowing what to do when repairs are needed. So, here are some helpful steps to take if you need auto body repairs to get your car looking its best! The first step is to find out if your insurance company and policy cover the damages that were incurred to your vehicle. Then you need to find out how much they cover and also know you deductable. Once you have that figured out you can go on to the next step. You will then need to find out how much money you have that you can spend on the repair out of pocket or in unison with your insurance. Once you figure that out you will know how much you have available to spend on repairs for your vehicle. Then you really need to find a qualified auto body repair specialist at a well known and recommended auto body shop like Sutton’s Auto Body. It will be important if you are using your insurance to find an auto body shop that accepts the insurance and will work hand in hand with your insurance provider. There are some auto body shops that do a great job with this. Once you know that they will work with your insurance provider you will need to check that they are an upstanding repair shop. Make sure that you see for yourself that they provide quality work to your standards. Also check their prices and see that they are comparable to what you can afford to spend. Also, if your car is in need of more than one type of repair you should search for an auto body shop that offers all the services your vehicle needs with a high level of quality. Make sure that you get a quote from the auto body shop before you agree to let them begin work on your vehicle. No work should be completed without your consent, that way there are not any surprise bills. Once you have found the auto body shop and received a price quote for the repairs you need to set up a time for them to begin work on your car. Depending on the degree of what needs to be done you may be without a car for a while. If that is the case you may need to make arrangements to get a rental car, unless you have another form of transportation. So, if you are in need of auto body repair or Rv repair there are a lot of things you will need to do and take into consideration when planning a budget and place to get them repaired. Make sure you take the time and follow all the steps to get your car back to new in no time!